I promise you, macarons aren’t as difficult as everybody makes out… they’re difficult to do perfectly, but it’s really quite simple to get them looking and tasting to perfection! This recipe is for three macaron flavours, vanilla with a vanilla buttercream, vanilla with a caramel filling and chocolate with chocolate ganache…. if you just want to make the vanilla macarons and flavour them yourself, don’t split the mixture into thirds and ignore the bracketed parts of the recipe. 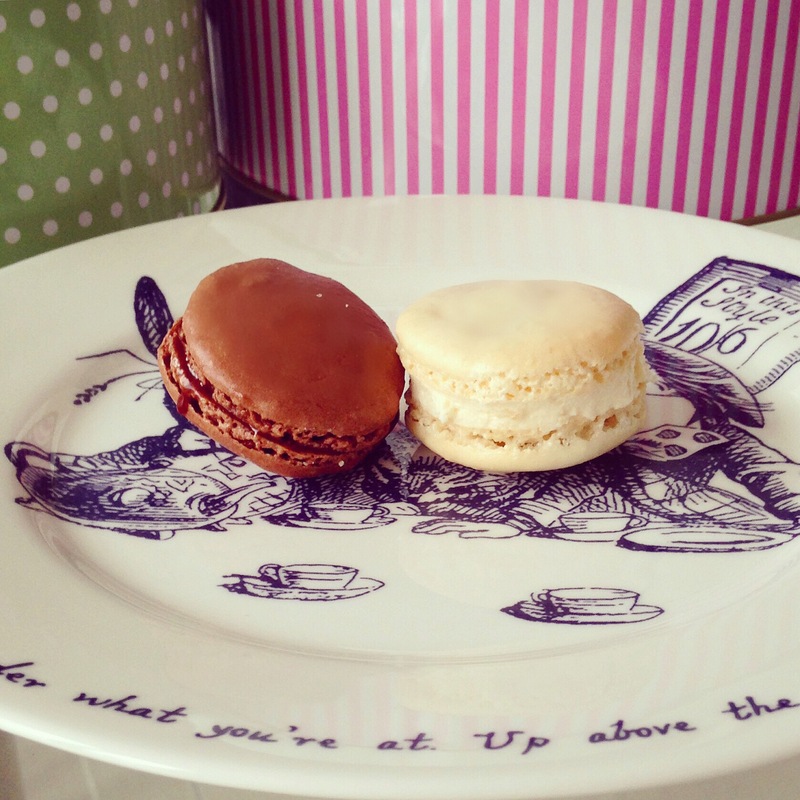 These macarons are great for an afternoon tea extra, with a cuppa or as a gift. For the vanilla macarons, fold half of the dry, plain almond mixture into 2/3rds meringue mix and mix well. Then add the remaining half, mix and spoon into a piping bag. Pipe approximately 14 cocoa macaron disks and 28 vanilla disks on to a lined tray. When the macarons are done, remove from the oven and allow to cool before filling, and assembling. Great recipes – I am so glad I found you!